Like many writers, I started on the bottom rung of the magazine ladder. I’ve been the annoyingly enthusiastic work experience student. The over-worked intern. The stumbling, fresh-faced young writer. Fast-forward to 2015: I’m now about 137 years old, and I’ve been a senior features writer, deputy editor, managing editor, chief sub-editor, author, and chocolate addict (although that one doesn’t pay the bills). So, what does my career have to do with anything? 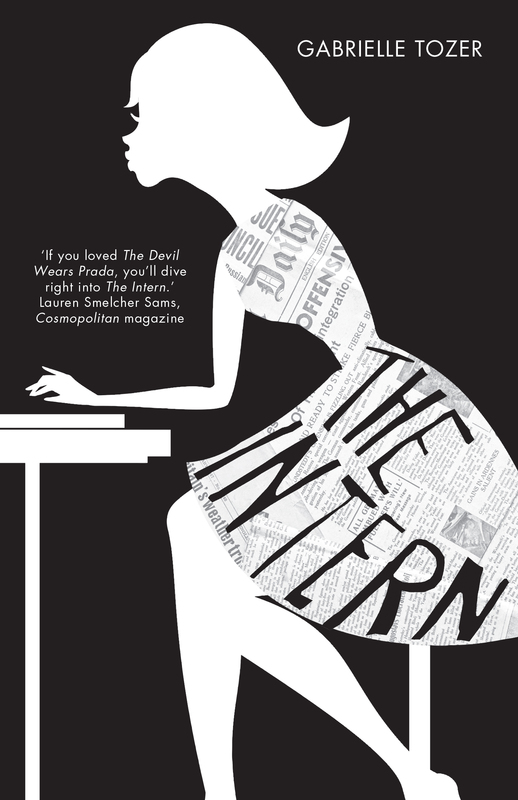 Well, reflecting on my humble beginnings in a regional town – and all the cringe-worthy moments I endured to follow my dream of becoming a journalist in the city – led me to penning my debut YA novel, THE INTERN (which is now nominated for the Gold Inky Award. You can find out more about that here!). It’s not a memoir. Josie Browning’s adventures at Sash magazine are 91% made-up. But as for that teeny-tiny 9%? Well, let’s just say it can be fun to write what you know and exaggerate the hell out of it. Memorable moment: Texting in sick, then posting photos of herself that day at Sydney’s Bondi Beach. Which her manager saw, of course. Memorable moment: YouTubing for half the day, before falling asleep at his desk. Memorable moment: Interrupting a features meeting by putting down an experienced writer’s idea and suggesting her own. Big no-no. Memorable moment: Penning an angry, typo-ridden blog post about her internship (because she didn’t get to meet someone famous/be the editor/go to a fashion shoot). Side note: the post went viral around the industry in a few hours. Oops. Of course, there are the interns who rock. The interns who shine for all the right reasons. The interns who you know will go on to become your colleague – or maybe even your boss – one day. I love those interns. I recommend those interns for jobs and praise them silly for their hard work. I want to bake muffins for those interns. But, when it came to writing my first book, the naughtier interns’ shenanigans were just so much more enjoyable to explore. The mistakes! The drama! The competition! Yes, Josie and her rivals have their own epic stuff-ups along the way, so I won’t give away any spoilers. I want you to savour every awkward, cringe-worthy and amazing moment for yourself. But one thing’s for sure: the media may seem sparkly, glossy and shiny from the outside, but not everything is always as it seems – especially when you’re first entering the industry as an intern. And that’s exactly why it’s so much fun to write about.